You notice those certain returning customers every once in a while. They love your menu and it brings them back time and time again. At times, you're so busy that you can’t give every customer the attention they are expecting or deserve. Especially the familiar faces. How do you encourage customers, new or old, to use TabbedOut in order to better their experience, as well as your time? By using TabbedOut merchandise, you can increase app usage providing top-of-the-line hospitality and reducing your work time between tables. This will acknowledge previous users of the app before they even sit down. We recommend you also place the window clings on glass around populated areas like a patio or back door. A great spot for TabbedOut stickers. Not only will your customers see them as they're passing through, your staff will be reminded to use TabbedOut to streamline their guests' dining experience. Placing download cards in the check presenters markets directly to the customers who don't have TabbedOut. They are also small enough to ‘pocket’ for later viewing. Table Tents bring light to TabbedOut users, old and new, to let them know the service is offered. It’s a perfect download opportunity while people wait for their food or drinks! Simple! Have a Bar Key for functionality and to catch the eyes of those waiting for their drink. Place said drink on a TabbedOut Coaster. 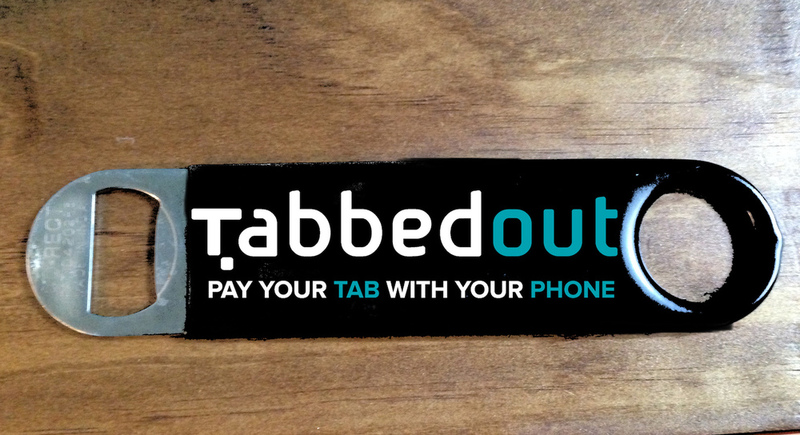 Allowing servers and staff to wear TabbedOut T-shirts will ensure they are comfortable while easily portraying the app. With quotes like “Keep up with the party - not your credit card” and “Serve guests, not checks”, the shirts are readily noticed. Koozies and T-shirts make for great contest prizes, too. By incorporating cool merchandise into your daily service routine, you can expose customers to a time-effective and simple way to pay for their meal. You will then be able to connect with those returning customers by offering their ‘usual’ after accessing their history in your POS machine. 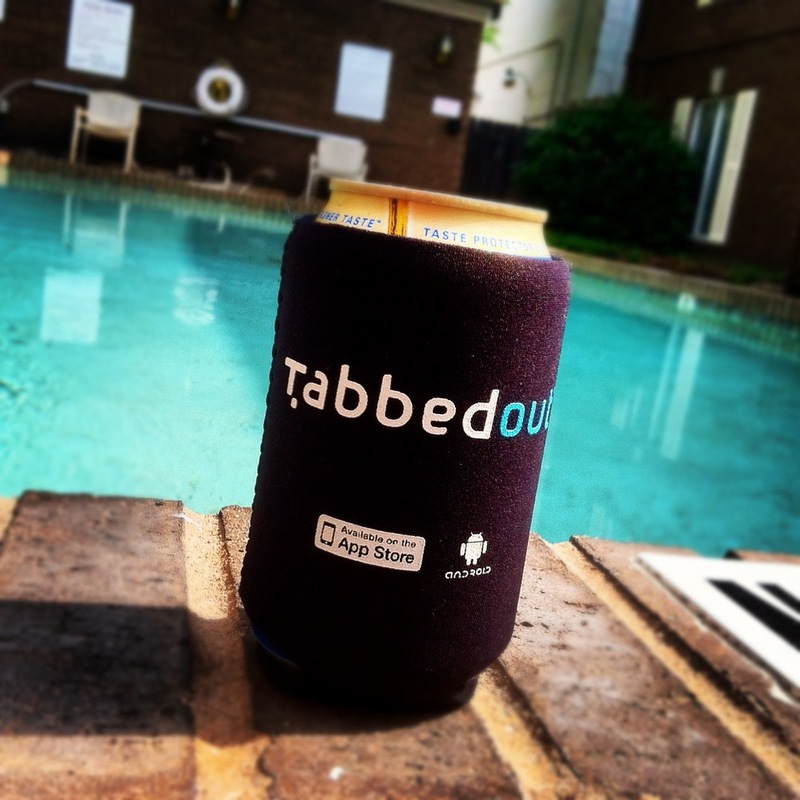 Keep on keepin’ on -- with TabbedOut merchandise. NEED TO ORDER YOUR FREE TABBEDOUT MERCH?